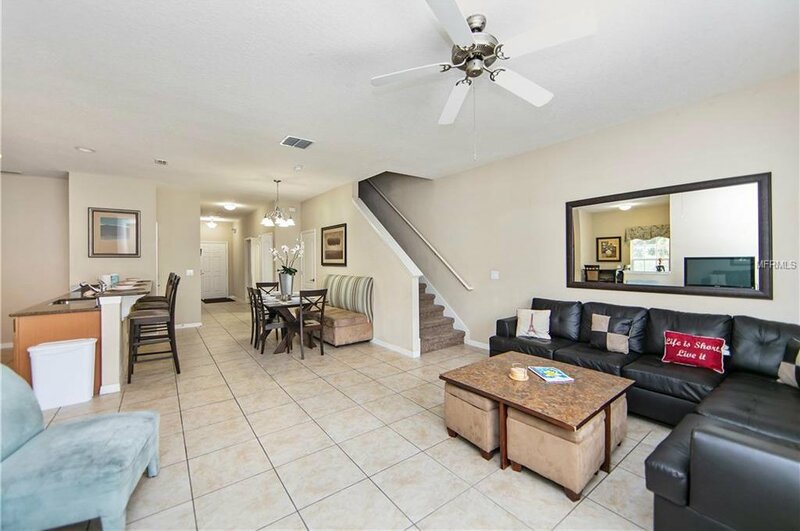 This turn key town home is nestled in a corner lot at the exclusive resort community of Paradise Palms. 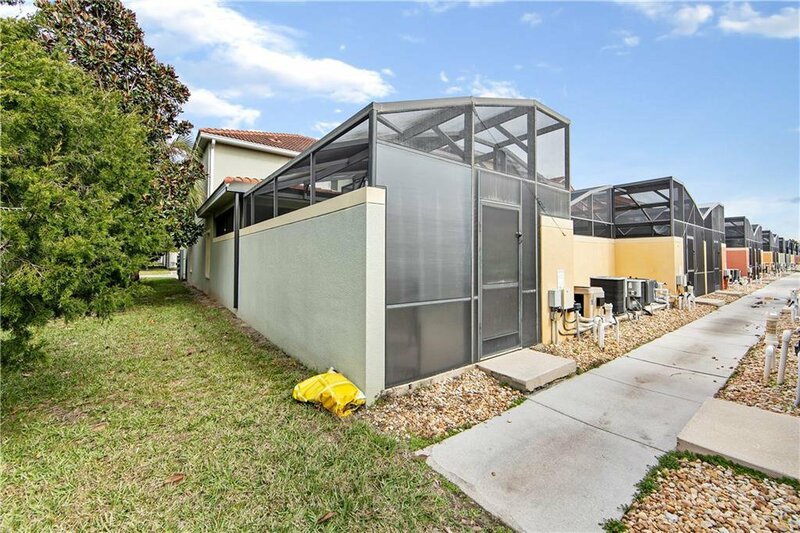 The home's splendid exterior showcases mature landscaping, tiled roof, covered entryway, private L-shaped pool in a screen-enclosed lanai. 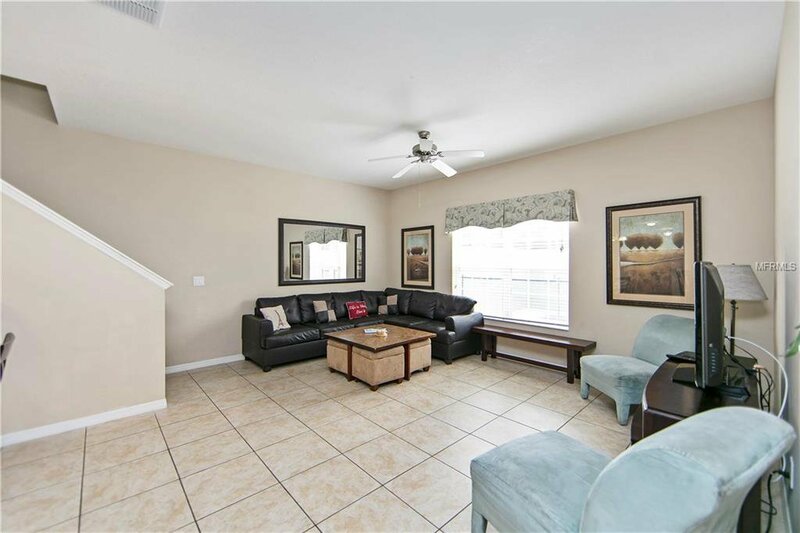 With 5 bedrooms and 4 baths, this two-story home is large enough to house almost any family. 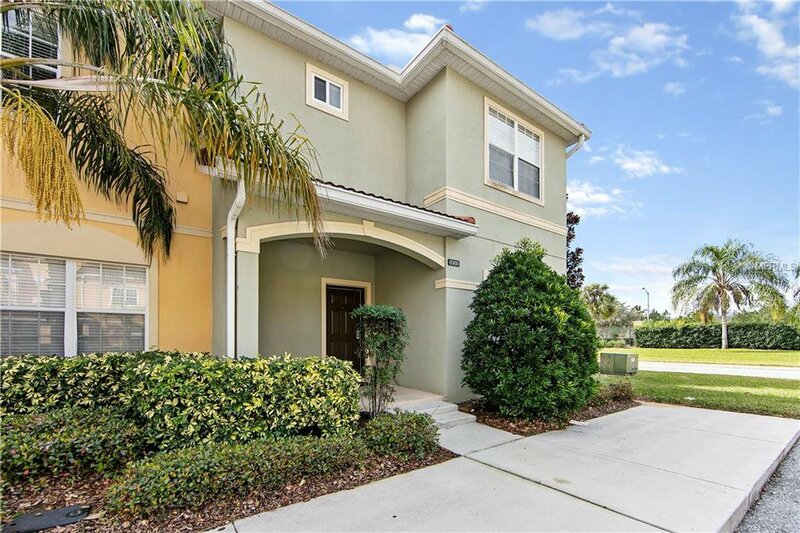 The well-maintained interior speaks for itself - with a grand foyer that leads to an open concept living and dining space, high ceilings, treated windows, carpet and porcelain tile flooring. 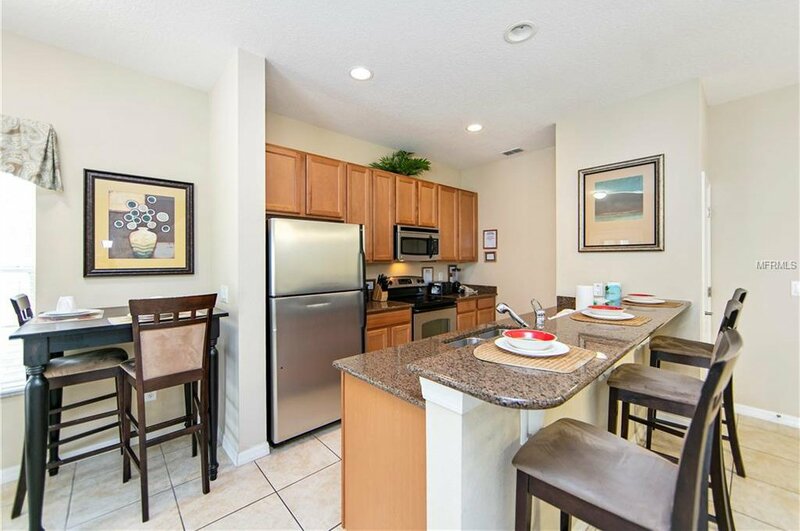 The wonderfully-sized kitchen has a comfy breakfast bar, granite counters, stainless appliances and solid wood 40" cabinetry. 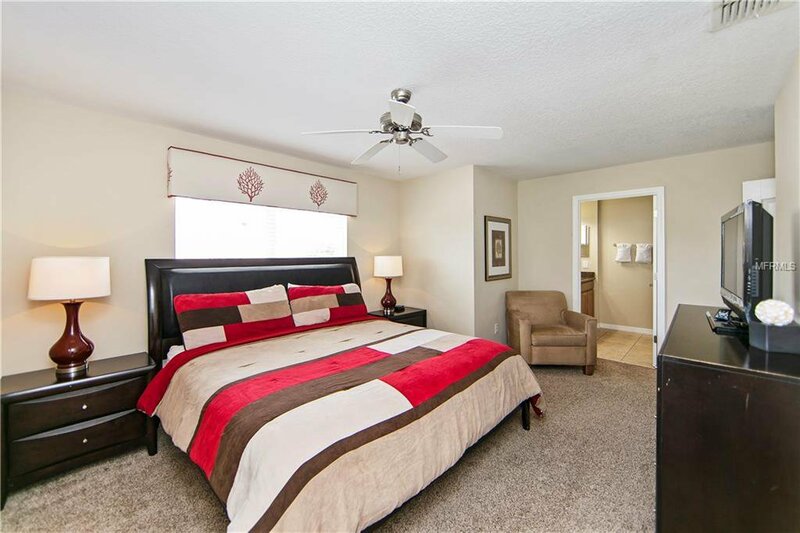 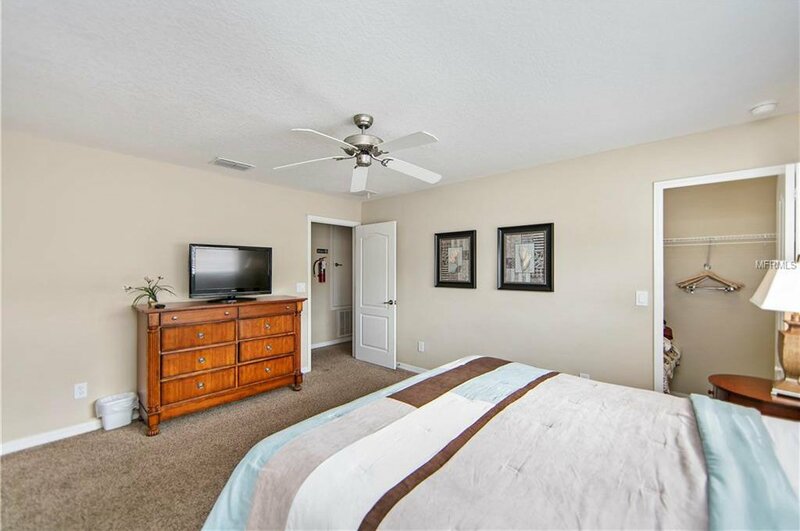 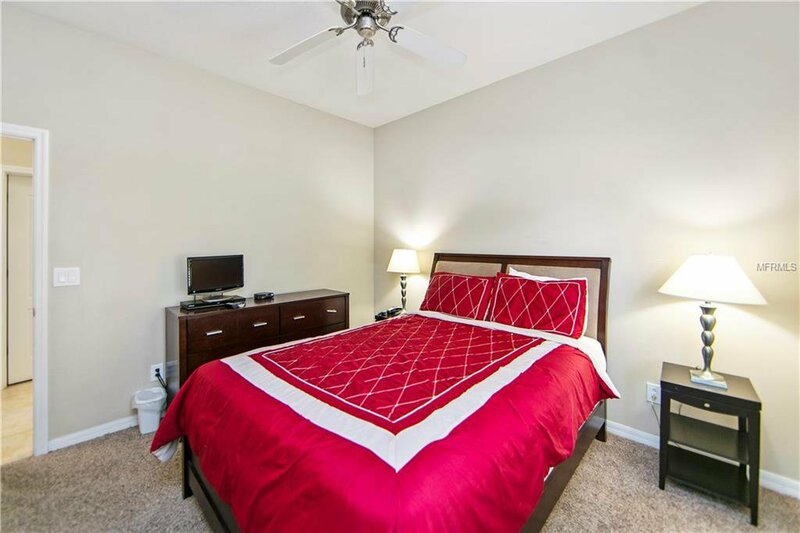 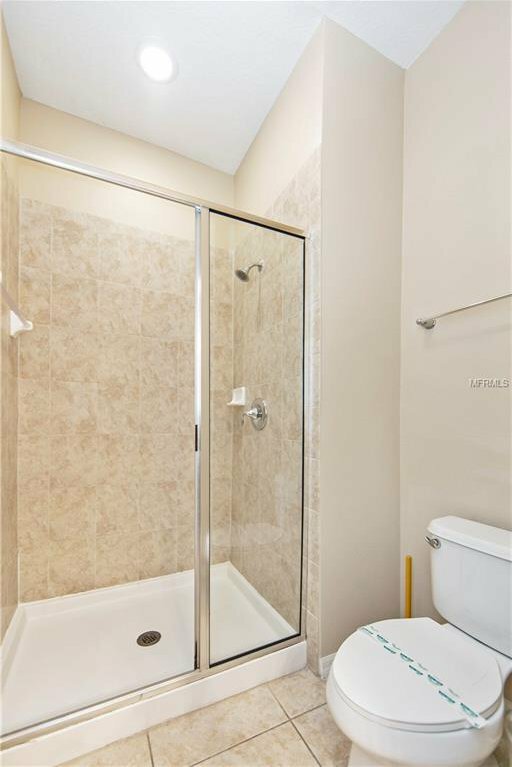 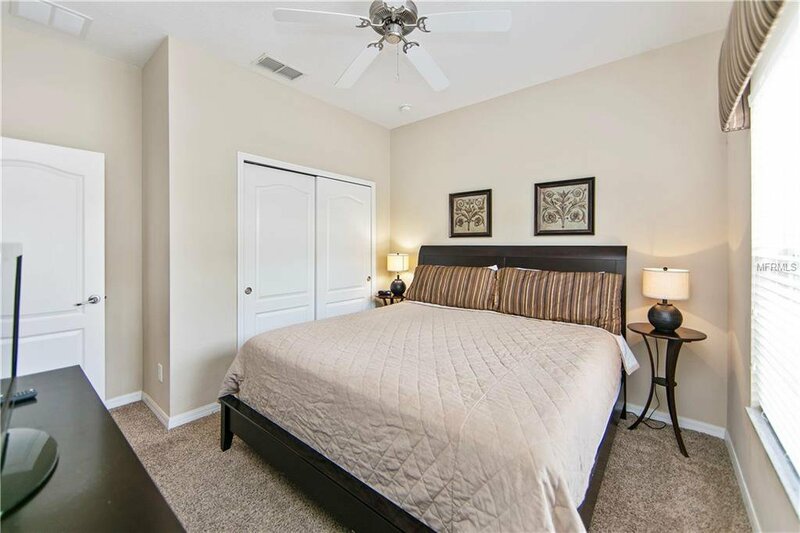 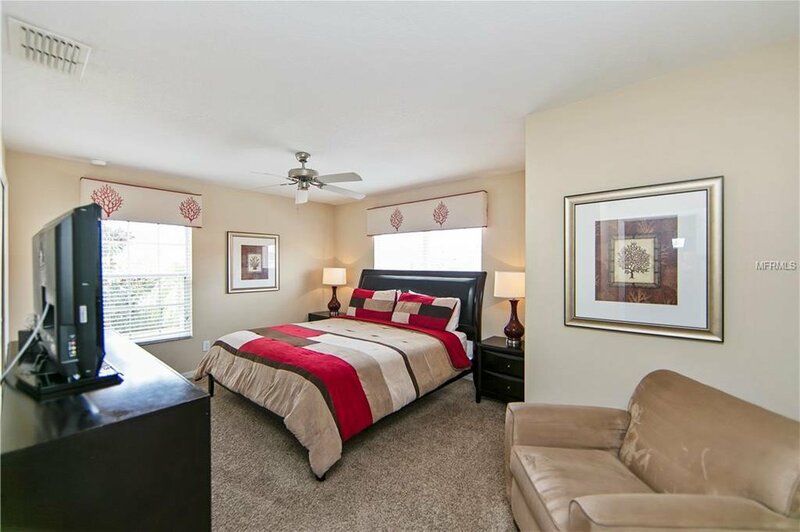 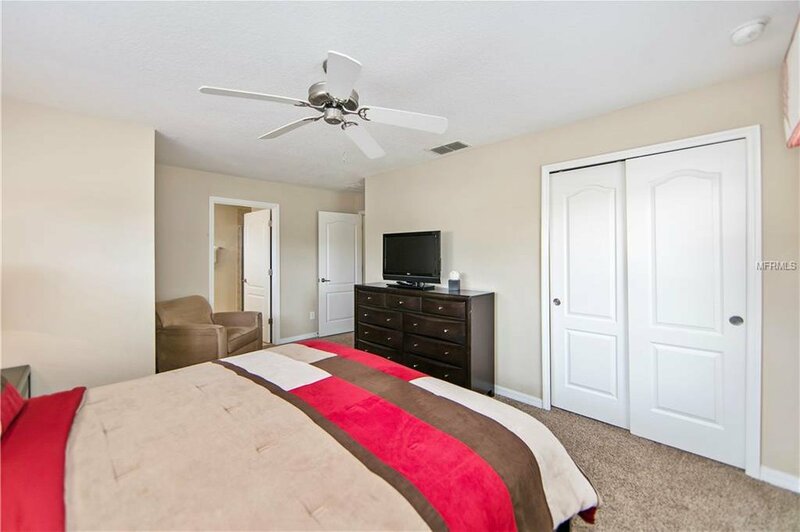 Comes with 2 spacious master suites with walk-in closets, and a master bath that has dual vanity sinks and a tub with shower. 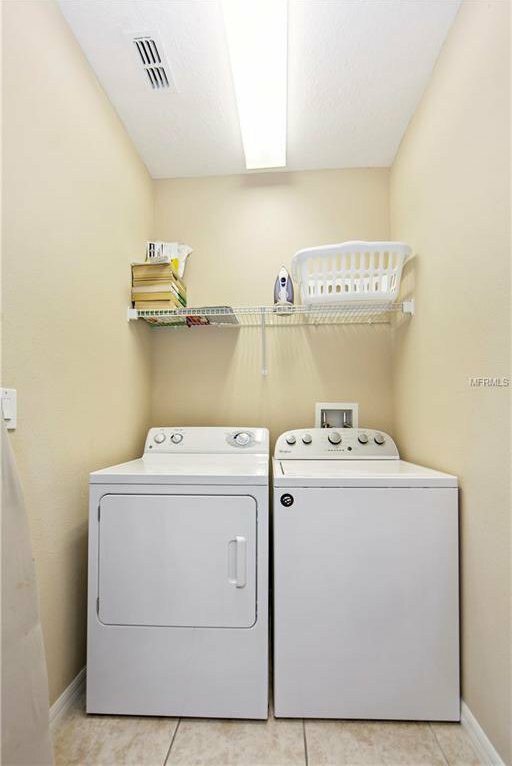 Bonus features are the security system and inside laundry closet. 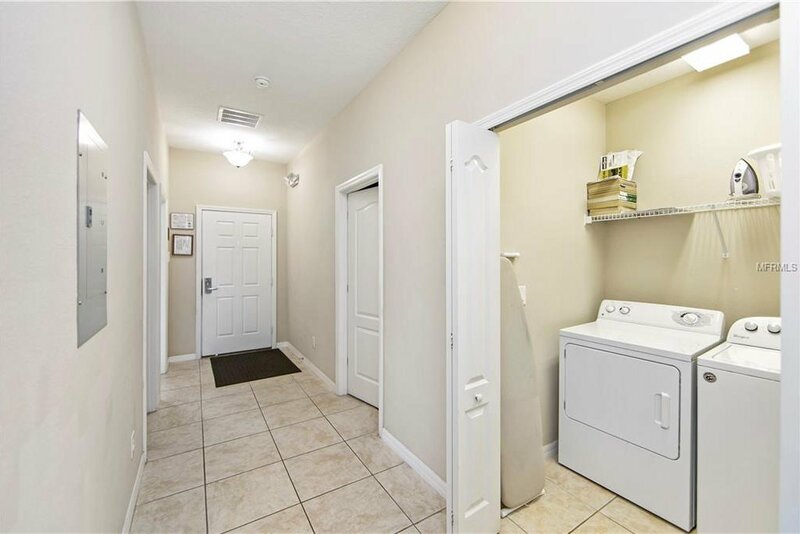 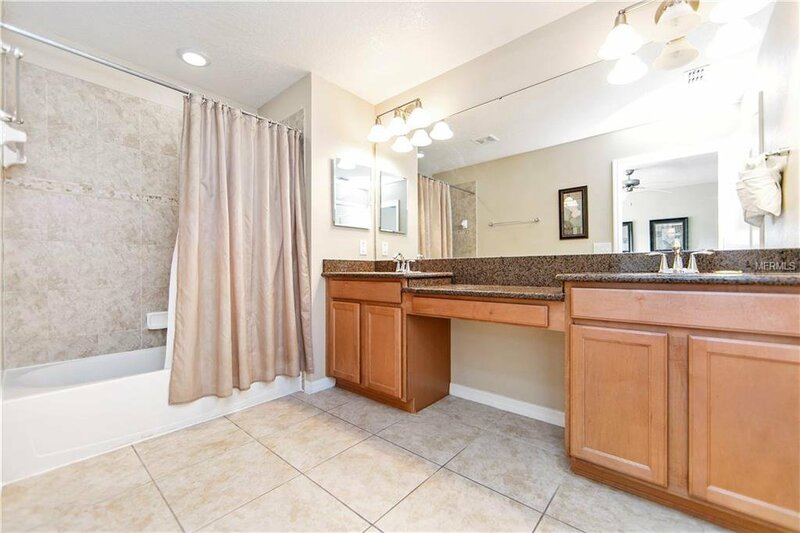 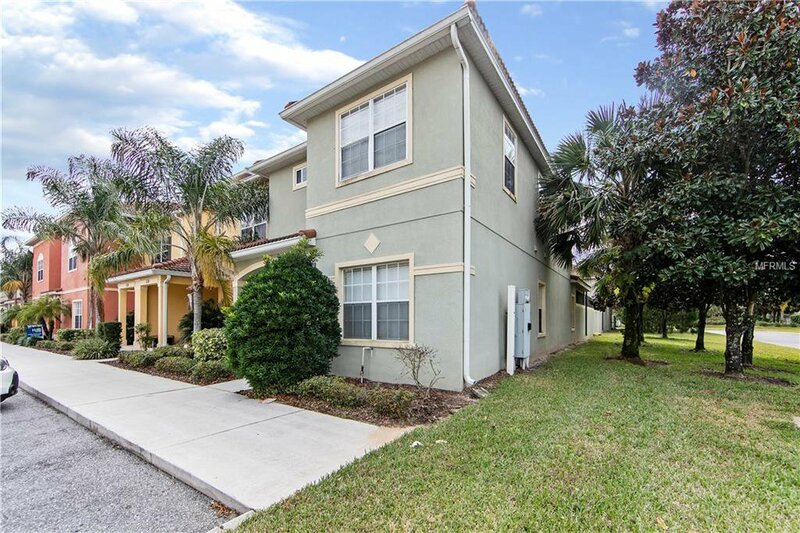 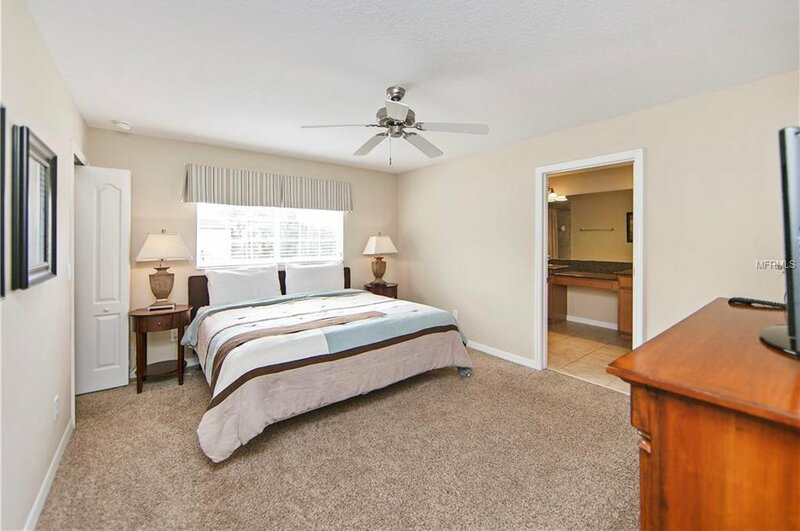 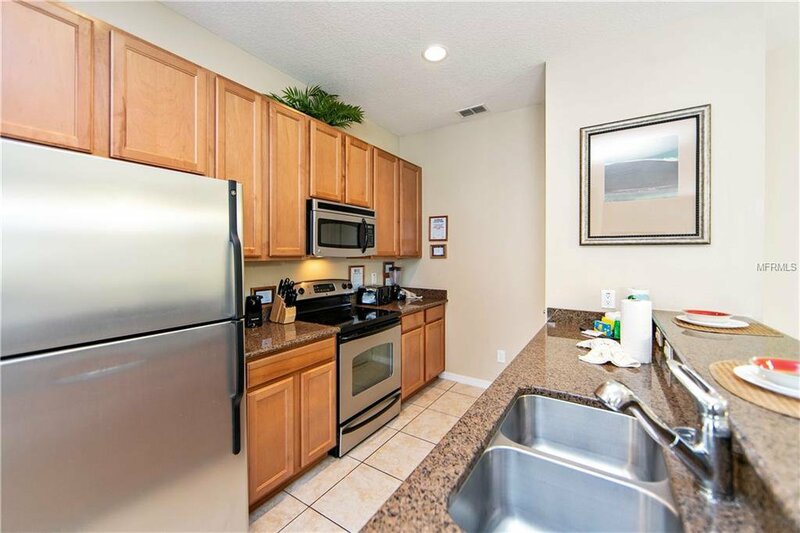 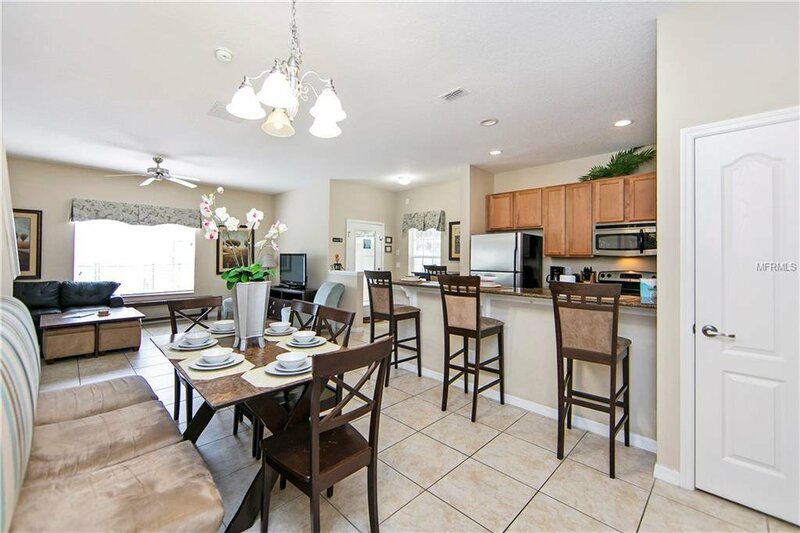 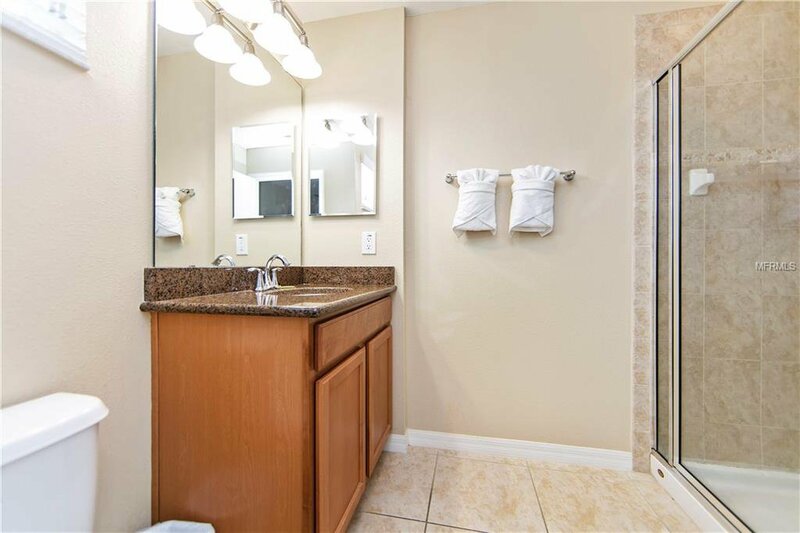 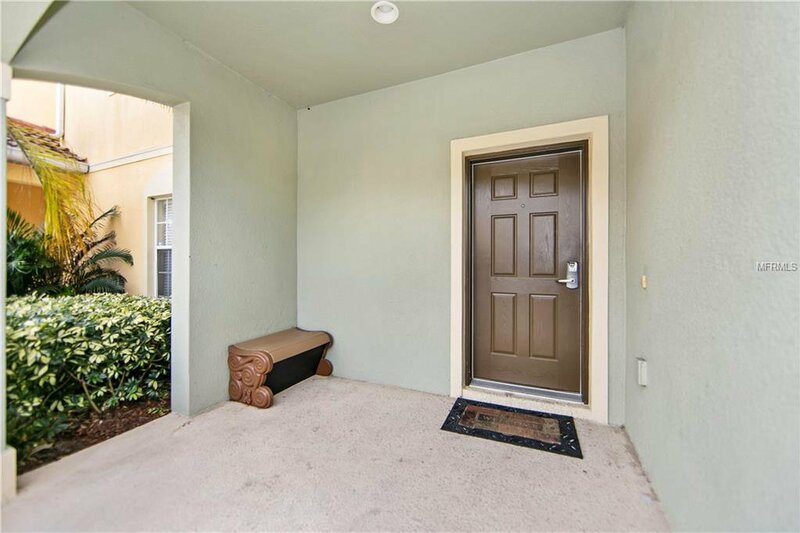 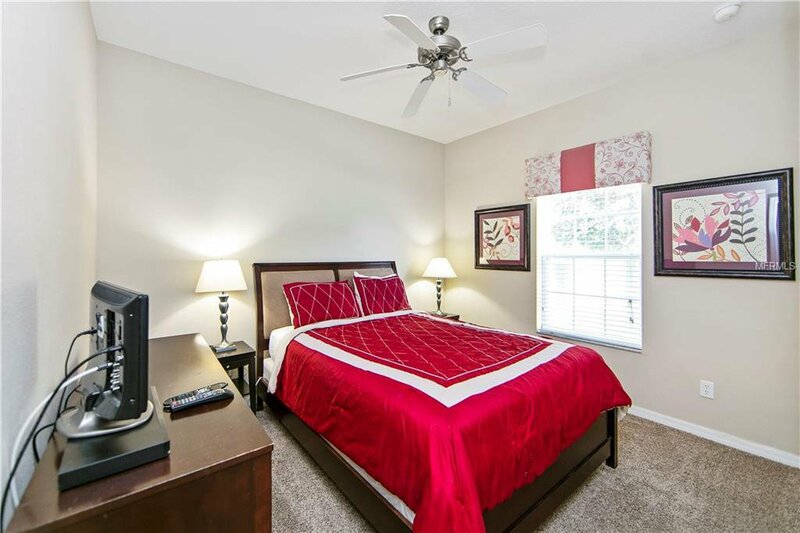 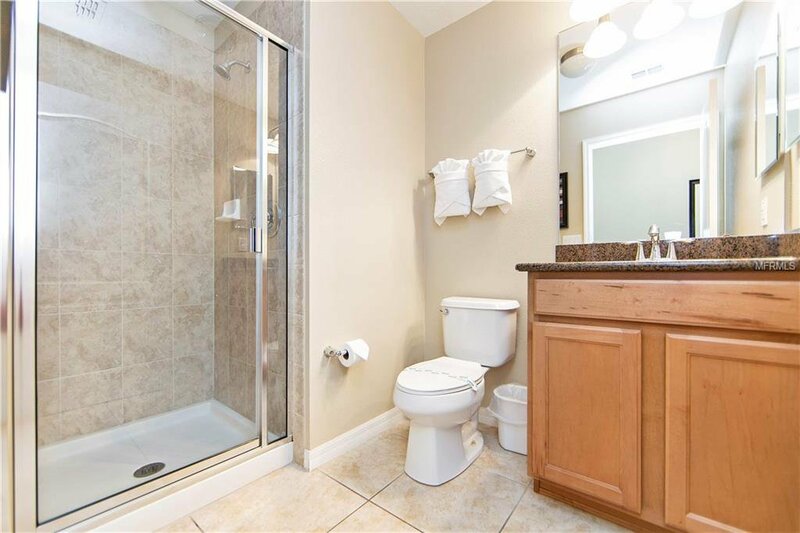 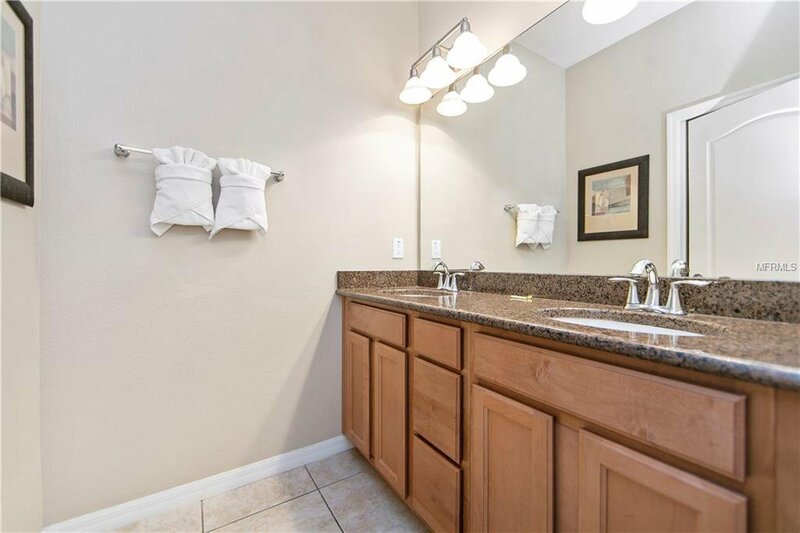 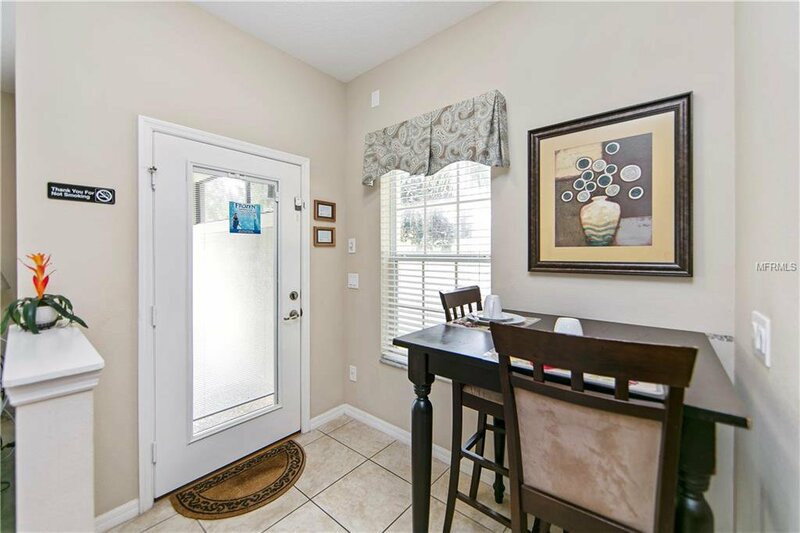 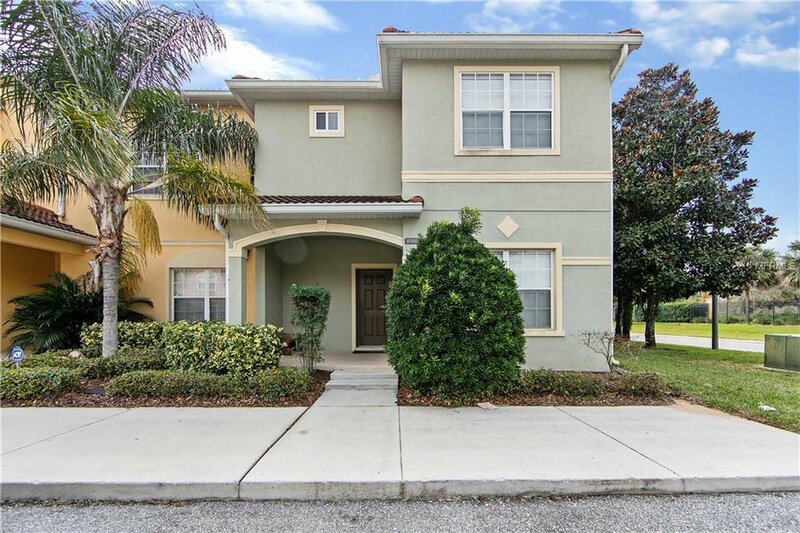 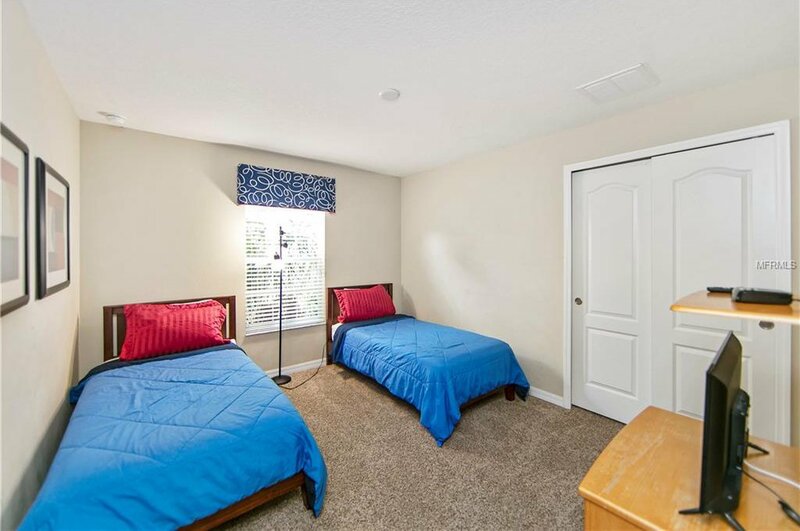 Close to Disney and shops, restaurants and entertainment. 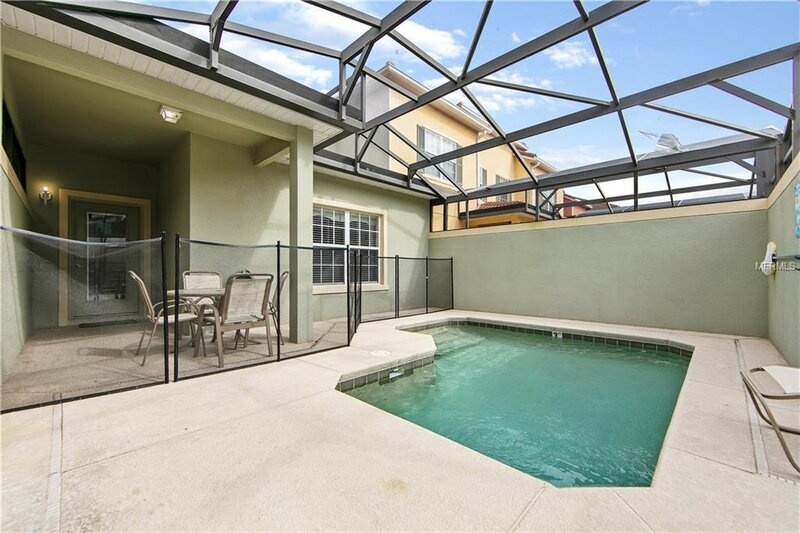 Other community features are the community pool with spas, clubhouse, fitness center and an indoor playground. 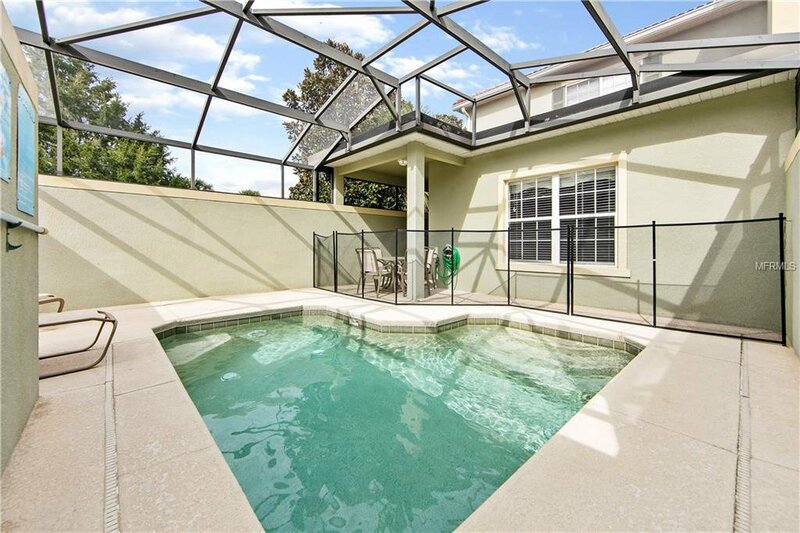 Listing courtesy of ELEVATE REAL ESTATE BROKERS.